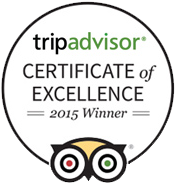 Highlights in facilities: Large but still private restaurant, impressive public terrace and huge sundeck. 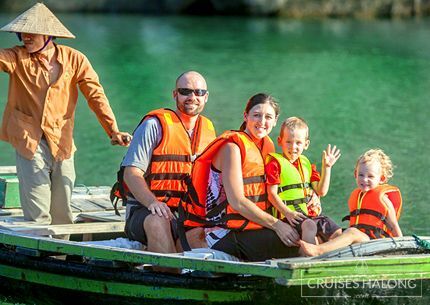 Passengers' privacy is always noticed. 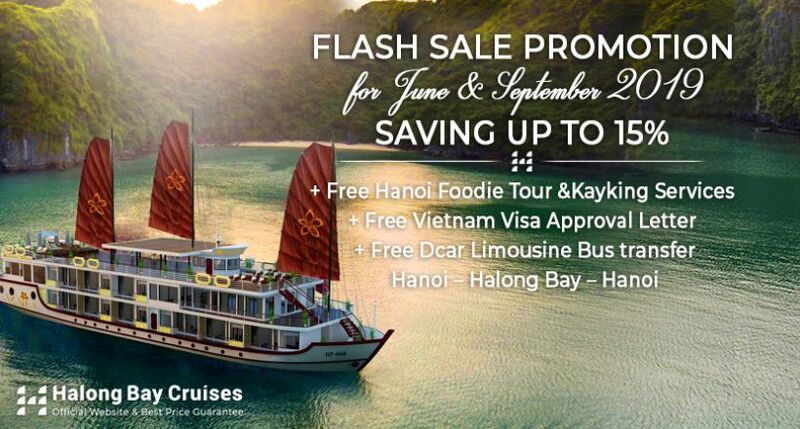 We booked the Jasmine cruise with Happy Travel but because we were on route home from New Zealand the travel, hotel and transfer arrangements were quite complicated and from a distance a little worrying. 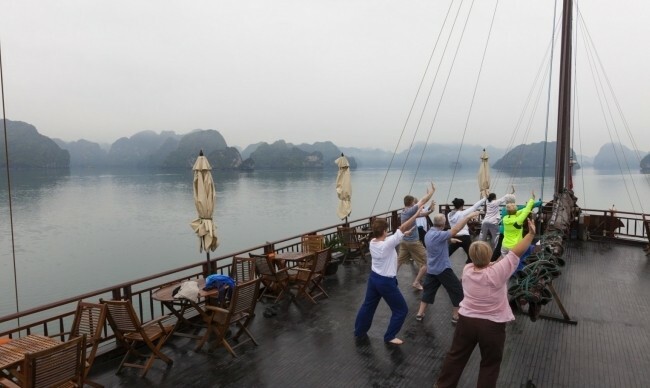 We should not have been concerned.The Jasmine two night cruise was brilliant even though the weather was not kind. 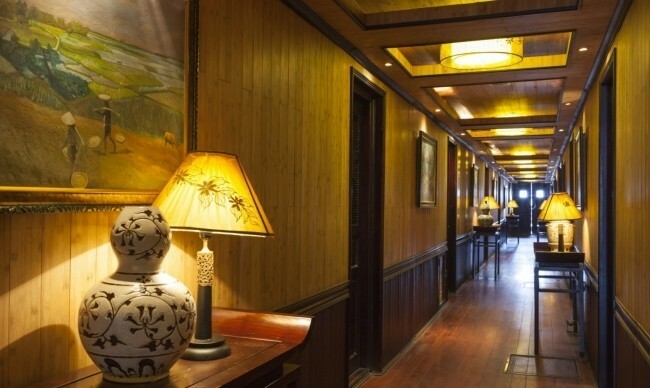 the Chanceldony Hotel in central Hanoi was very good and the transfer/travel arrangements first class. 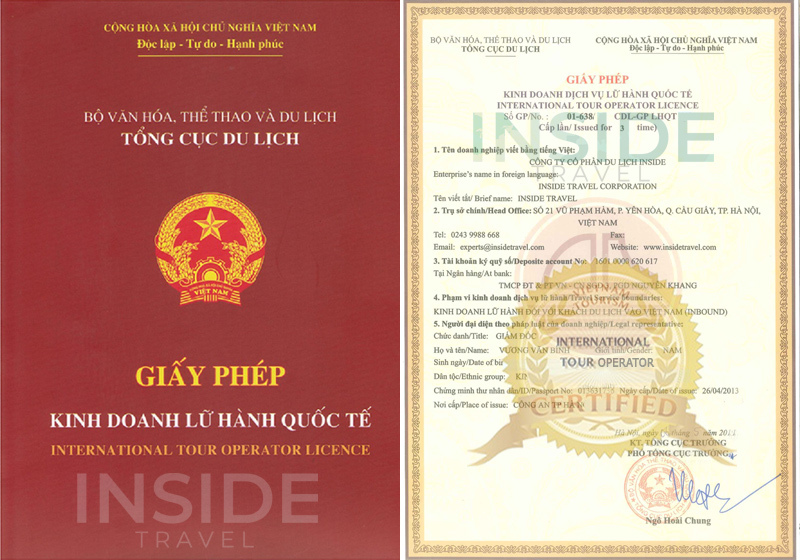 Well Done Happy Travel and especially your agent Miss Trang. She answered all our questions and concerns perfectly. 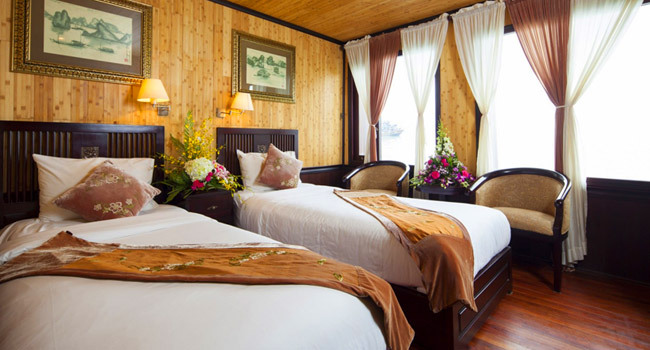 There are a total of 12 Jasmine Superior cabins (2 double and 10 twins) available. 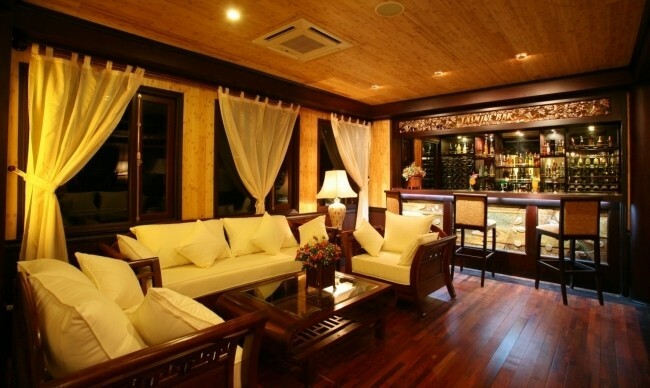 Superiors are located on the main deck with teak-wood furniture. 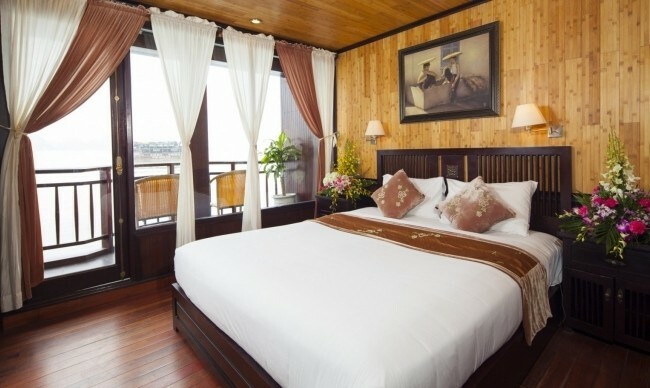 Panoramic French-styled windows and tastefully chosen décor make the Superior category a cozy accommodation. 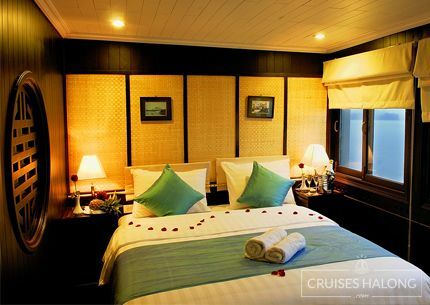 Furnished the same as Superior Cabins but has a private balcony. Special Amenities: Individually controlled air conditioner, in-house phone, slippers, safety box, glass standing shower, bath robes. 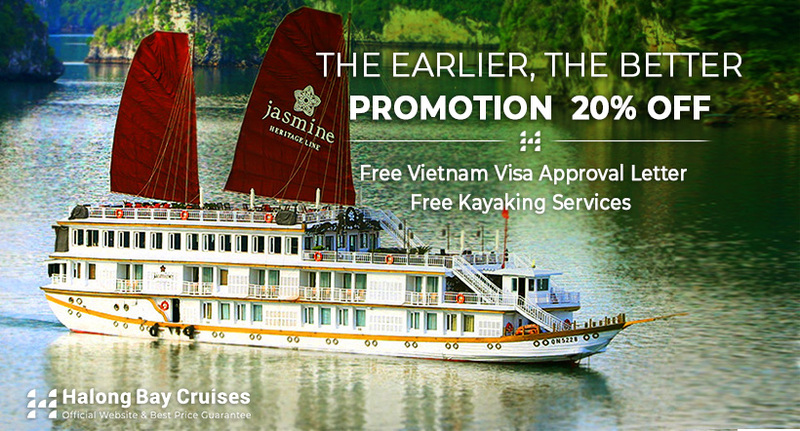 Jasmine Cruise started its first voyage at the end of 2007. 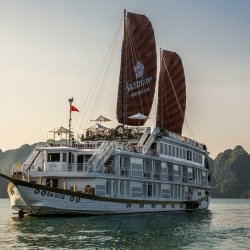 Being the second of the “Three Sisters” operated by Heritage Line in Halong Bay (besides Violet and Ginger Cruise), Jasmine Cruise is the gracious middle-child, built in the style of a traditional Vietnamese junk, with three tawny sails and dark wood-cladding and the decoration in 1930's Indochina style. 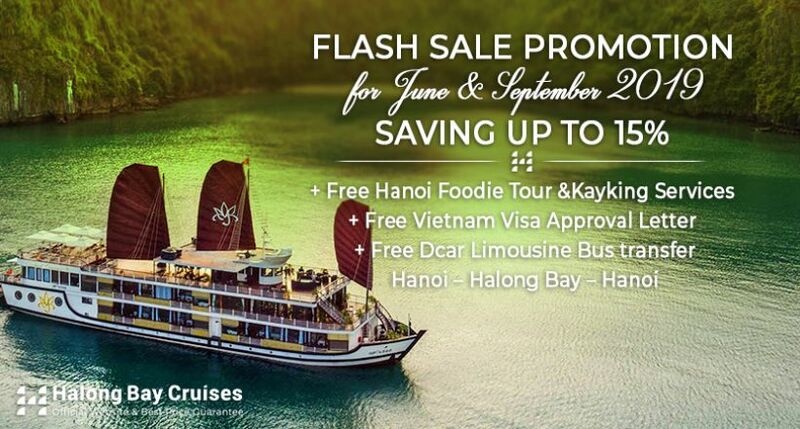 Consisting of 23 cabins, impressive restaurant and gorgeous bar, large terrace and huge sundeck, spa and massage rooms, the cruise provides large and luxurious spaces for tourists to relax and enjoy the holiday. 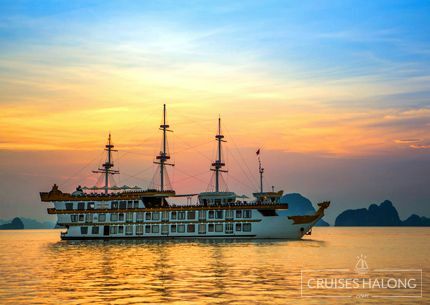 Visitors looking for comfort and relaxation in Halong Bay will appreciate the Jasmine’s friendly crew and understated elegance. 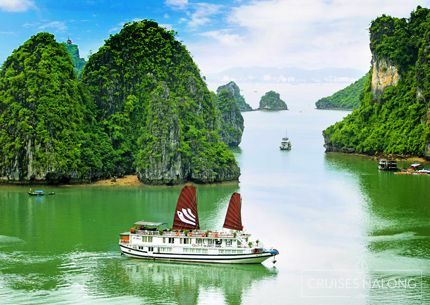 The Cruise is definitely a perfect choice for travelers who want to escape from the bustle and hustle of city life and enjoy peaceful moments in Halong Bay. 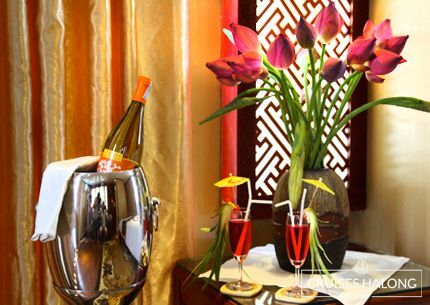 Jasmine Spa’s services offer tourists with a variety of healthy treatments by our professional staff. 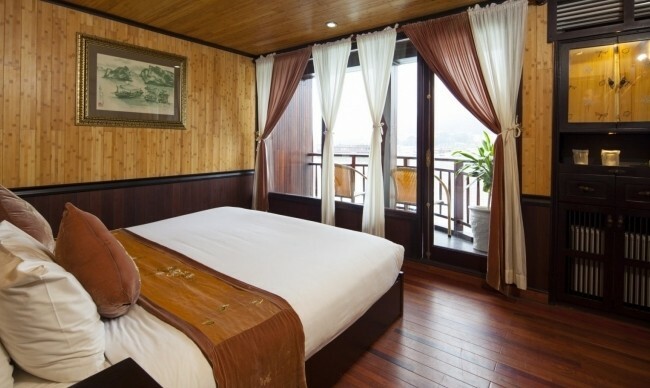 Two massage rooms of Jasmine which overlooks the bay will give you the best experience of relaxation ever. 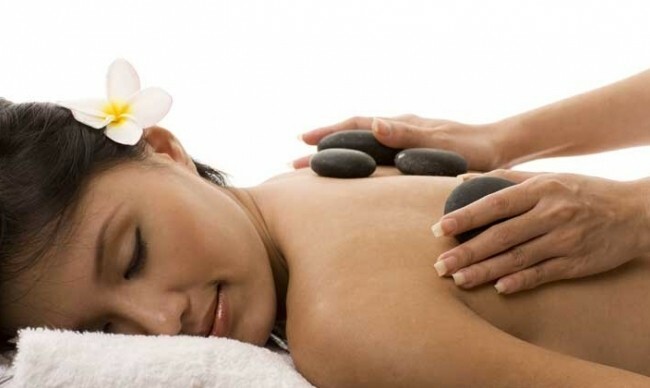 The gentle hands of the skilled therapists will combat your fatigue and soothe your aching muscles. Or the foot massage will revitalize your painful feet. 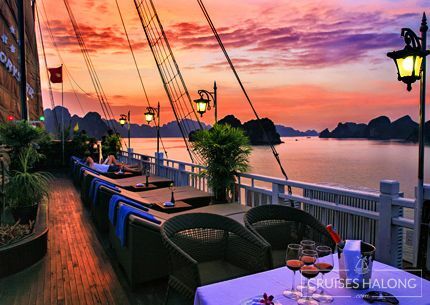 The restaurant & bar on the cruise could definitely attract the tourists at first sight by its elegant design. The dark wood floor and ornamentation provide the pleasant warmth. 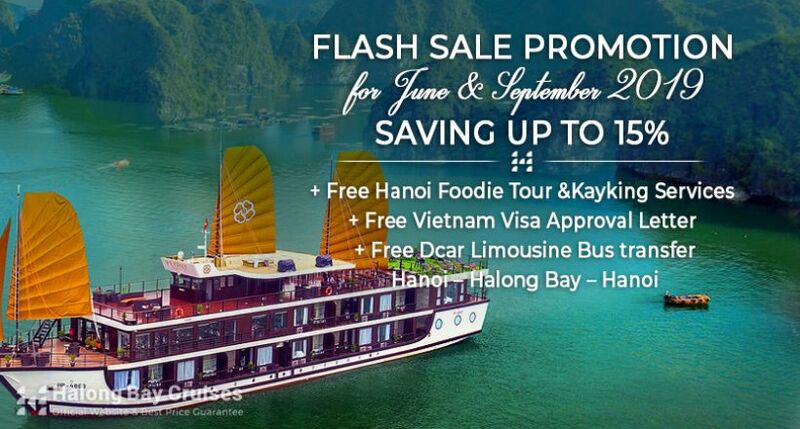 The food here is so diverse that you can have multiple choices with a long menu of both international dishes and Vietnamese food. Throw a BBQ party on the Jasmine terrace to enjoy a buzz of excitement or be engulfed in a romantic candle-lit dinner restaurant. 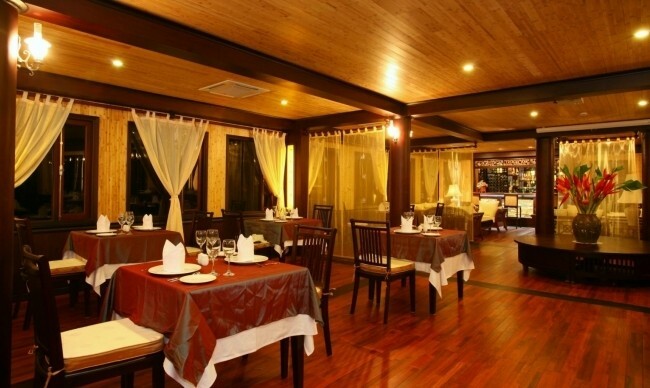 Enjoy the panoramic view as you tuck in the chef’s finest. 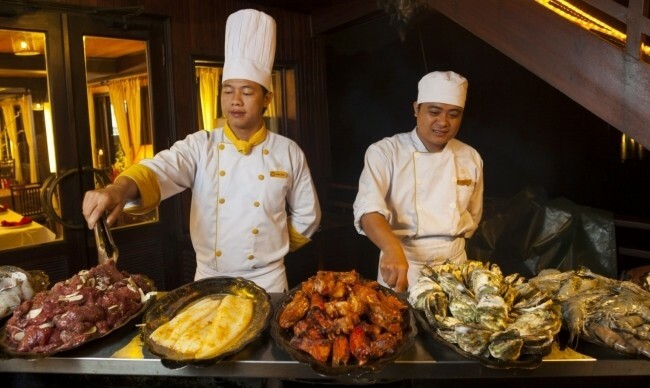 This restaurant has excellent cuisine for every palate. 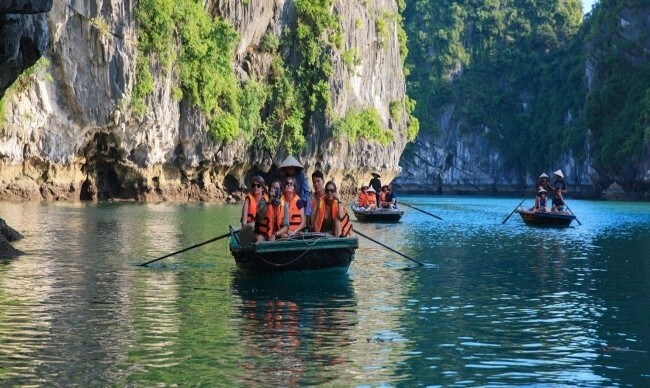 Kayaking in Halong Bay is more than an indulgence given its difficult-to-see vistas and cannot-be-more-dramatic settings. 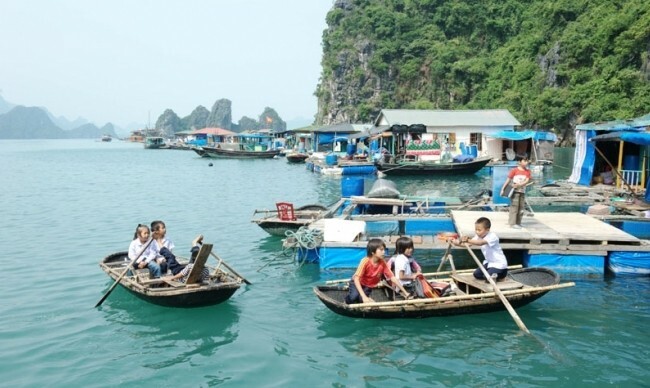 Over the last decade or so, kayaking has become a popular activity in Halong Bay, which covers an area of 1,500 square kilometers, offering many options for both the less and the more adventurous. 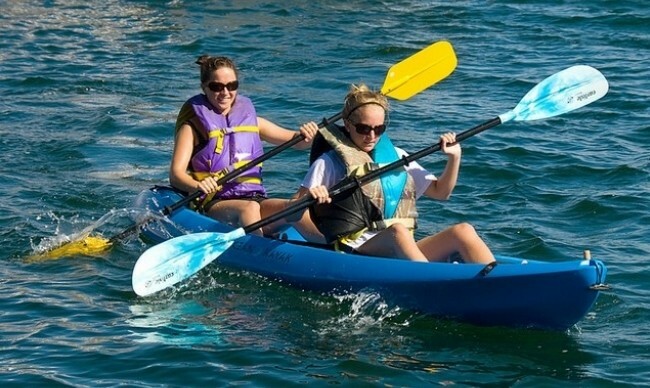 With current modern kayaking equipments, visitors can maximize on speed and maneuverability as they explore the open sea and many hidden lagoons and stalagmite caves that are tough to access by other means. 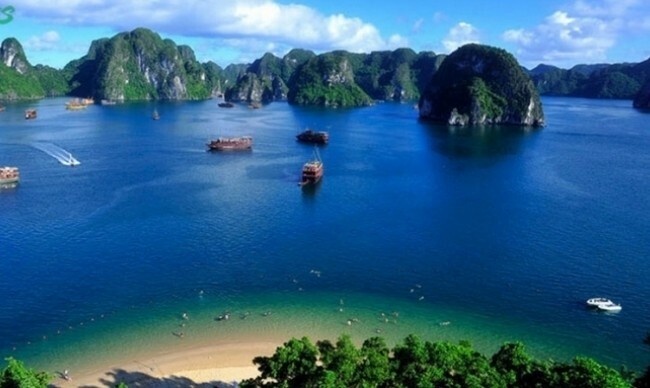 Jasmine will bring you to spectacular beaches of Halong Bay for swimming or lying on fine golden sand. 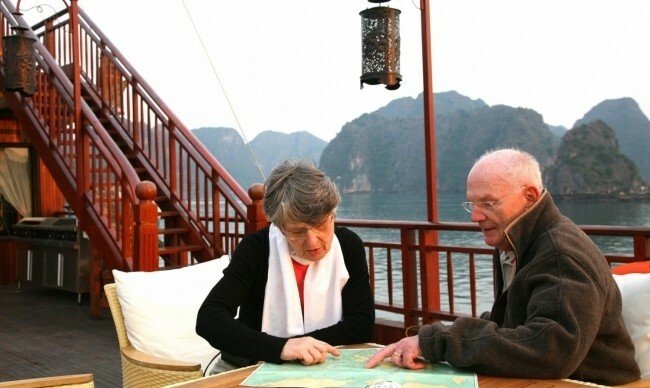 Then, you will have a visit to floating village and the grotto complex on the bay. 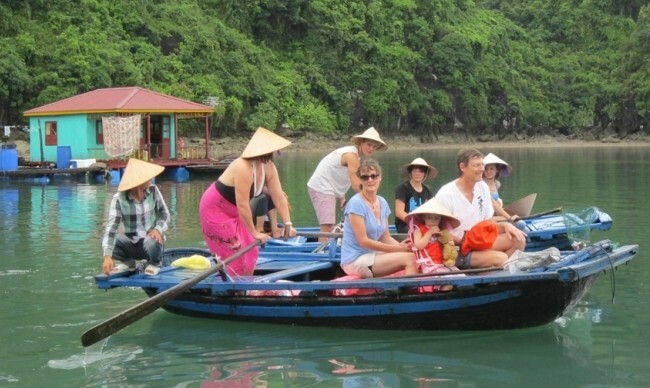 Here come loads of friendly fishermen and a natural hidden beauty of Halong Bay that is not easy to be seen. The sundeck is an inviting place for guests to lie down and relax: it has comfortable lounge chairs, fresh breeze, and dazzling views. 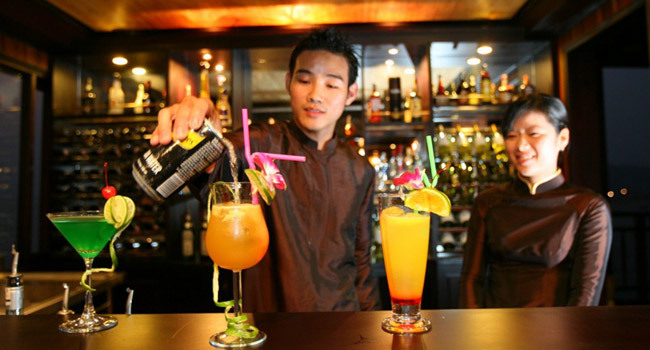 Furthermore, the Sunset Bar with an impressive range of cocktails and a relaxed ambiance is a delightful place to take a rest and see the sun climbing and dipping behind the bay’s myriad islands. Take a sip of expertly-blended cocktails as an aperitif for Jasmine’s lavish meal while wallowing yourself in the splendid light of the sun. 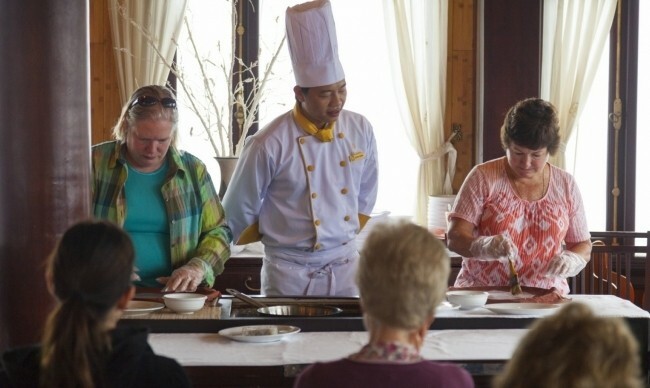 Cooking classes on Jasmine Cruise offer tourists a good chance to know more about Vietnamese cuisine and practice cooking Vietnamese dishes. Jasmine Cruise is very pleased to join hands to celebrate your wedding-one of the most crucial event in one’s life. 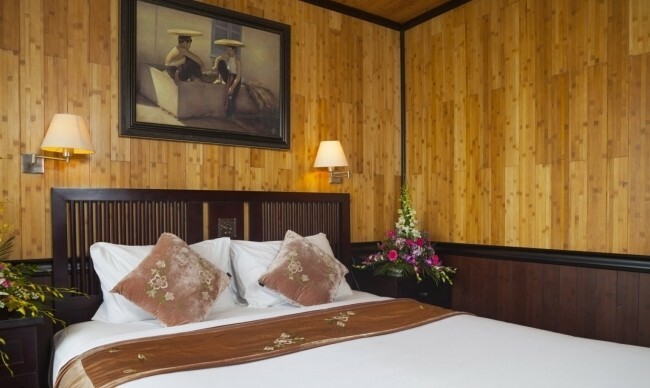 Believe in the Jasmine, they will bring you the most romantic and unforgettable memory in your lifetime.